Talcum powder pack containing 100 grams. External Anti-parasitic Powder. Effective Against Fleas, Tick and Lice. 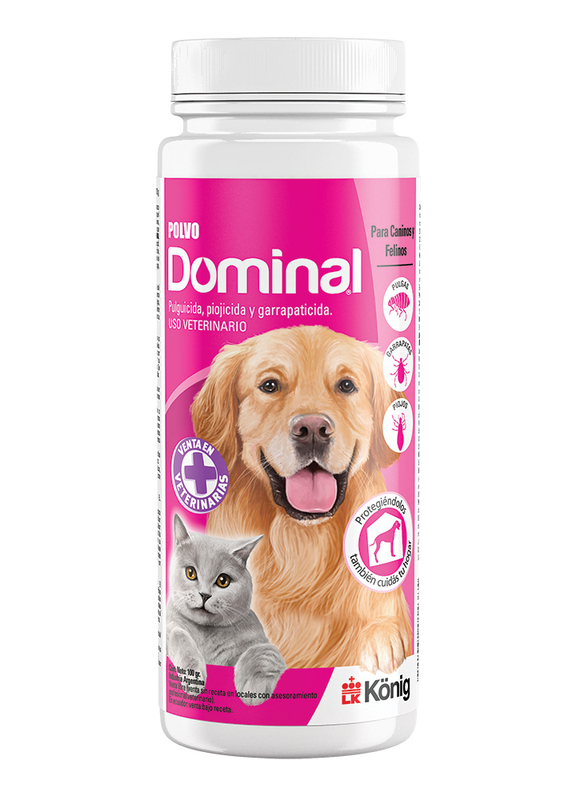 External anti-parasitic for dogs and cats which kills on contact. Interrupts the cycle preventing new re-infestations. Each100 grams pack contains: Propoxur 1,00 grams; Imidacloprid 0,15 grams; auxiliary agents, q.s. It is indicated for the prevention and treatment of re-infestations by fleas, tick and lice. 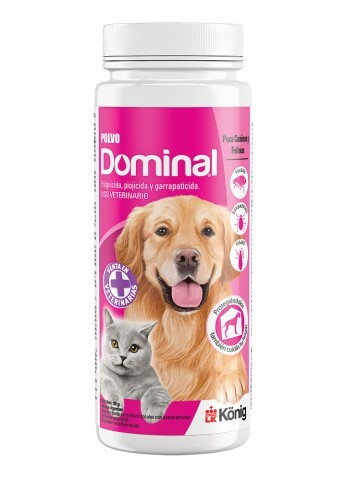 Owing to its low toxicity it is specially indicated for pups and kittens. Sprinkle gently along the lumbar spine, groin and armpits. Spread massaging in a direction opposite to hair growth in order to facilitate penetration into the hair layer. It is advisable to repeat once every 10 days.